RAO is a leader in developing and producing Deep Drawn Stampings. From low volume to high volume, from hand fed operations to fully automated operations, we have the equipment and employee base capable of meeting your production and quality requirements. We have experience with many types of materials such as: Steel, Galvanized Steel, Stainless Steel, Aluminum, Copper, and Brass. We can form and stamp thicknesses from 26 gauge though ½ inch. Our presses max out at 850 tons and have large press beds that can accommodate large stampings and heavy stampings. We will assist you in developing your parts and then design and build your tooling. We can perform secondary operations such as: Welding, Spot Welding, PEM insertion, etc. 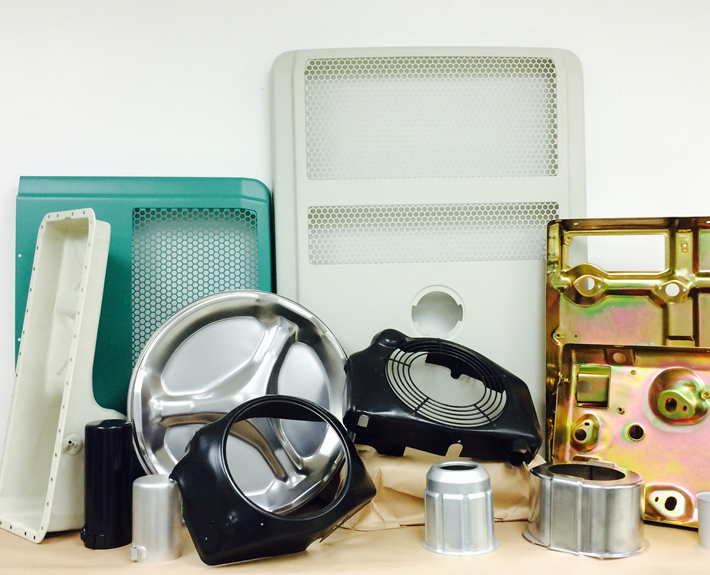 After we have completed the fabricating processes, we are able to send your parts to local companies for painting, plating, and anodizing. Finally, RAO is able to perform final and sub assembly operations and then warehouse your parts until you need them. © Copyright - RAO Manufacturing Company. All rights reserved.